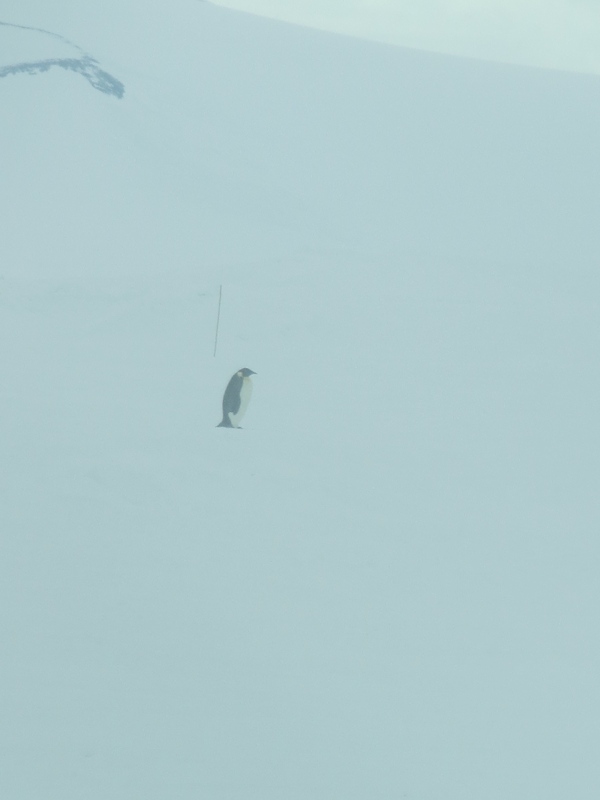 Some of us were lucky enough to see a penguin the other day! 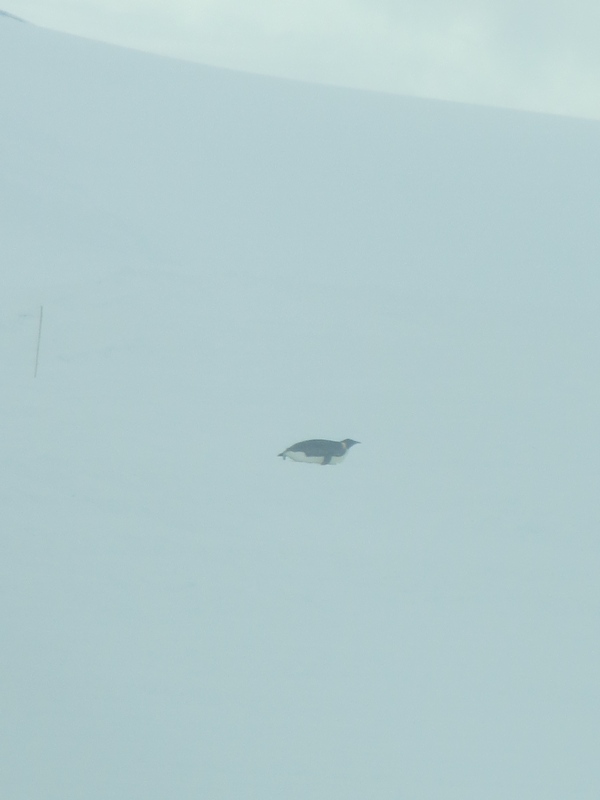 Alex, Brent, McBride and I were in the van heading back to McMurdo, and saw the penguin between LDB and Willy Field. He was pretty far away, so my pictures aren’t that great. Alan, Martin and Abby were on a later van and were able to get much closer! 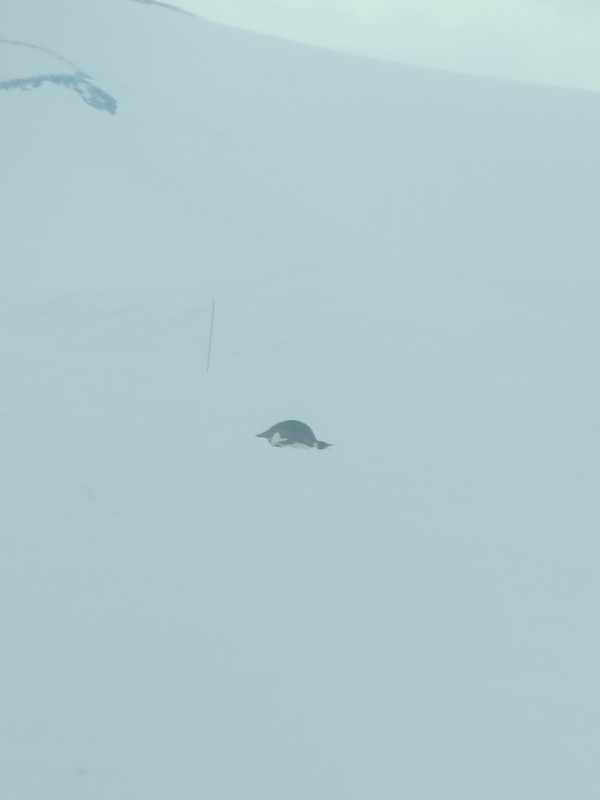 The ANITA team came out yesterday for a launch attempt and told us that the penguin was hanging around LDB. Unfortunately, we haven’t seen him today. 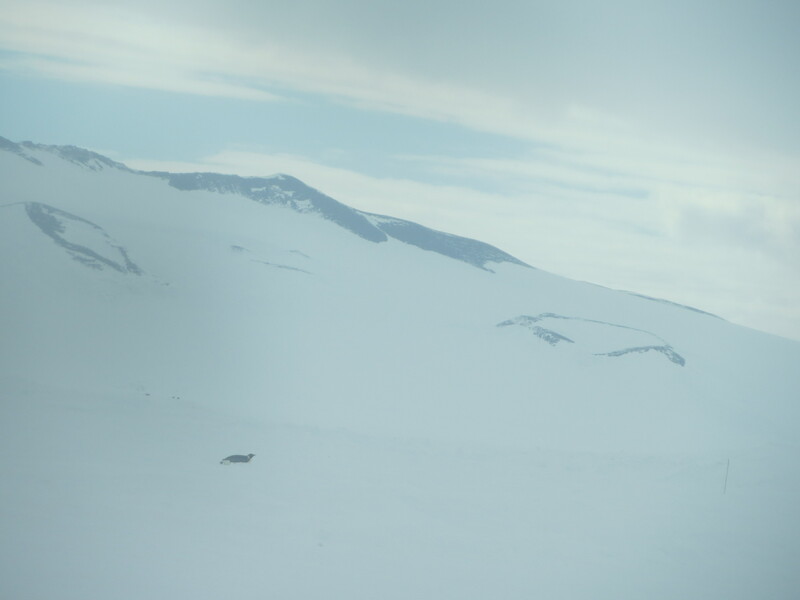 The later it gets in the season, the closer penguins get to McMurdo, so hopefully we’ll get to see some more! Given that we’re still waiting for ANITA to launch before we can launch, it looks like we’re all going to be around for awhile. This entry was posted in Antarctica Life, COSI'14. Bookmark the permalink.